VictoryLand showcases the thrill of the chase 52 weeks per year. The track also offers simulcasts from dog tracks all over the United States, all year round. The first floor of VictoryLand offers a close-up view of the race track. Overhead monitors provide race replays, mutuel information as well as in-house general information. Conveniently located throughout this area are concessions stands. VictoryLand's second floor lounge area offers greyhound racing in a nightclub atmosphere. This area has banks of television monitors on each wall that show race replays as well as other sporting events. The clubhouse level of VictoryLand offers the ultimate in southern dining and hospitality. The tiered table seating allows spectators to enjoy cocktails or dinner while watching the races. Televisions are located throughout this area as well as individual televisions on each table. 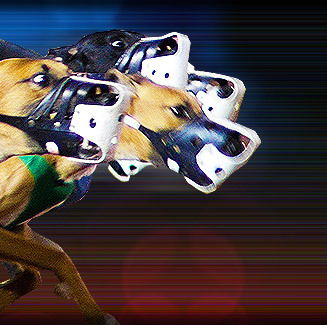 Whether you prefer the excitement of the grandstand, the intimacy of the lounge or the fine dining of clubhouse, VictoryLand's climate controlled facility offers fast and furious greyhound racing. VictoryLand is conveniently located at Exit 22 off Interstate 85 between Montgomery and Tuskegee, Alabama, USA.